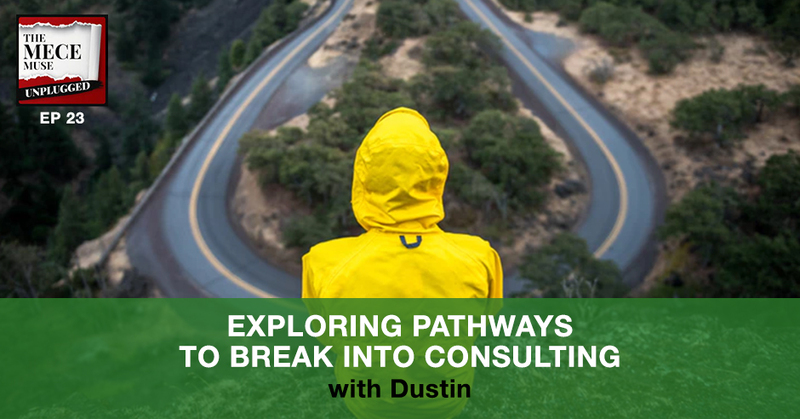 Crossroads episode with Dustin, a defense industry professional with less than 5 years of work experience, is seeking a pathway into management consulting. Dustin and Christie discuss ways to reinvent and curate a personal brand that would be attractive to consulting firms, including how to identify experience gaps. We will be doing a crossroads interview. If you are new to the show, crossroads is where you have an opportunity to connect with a person that is deciding to go in or out of consulting, and we have a conversation about that. Our guest has a common situation. He’s got a couple years of experience in the industry and is seeking to make a pivot into consulting and wants some guidance on that. I’ve actually done several pivots in my career in consulting and we have a really nice conversation helping him understand how he can bridge the gap between where he is and where he wants to be and focus on it. If you are in the midst of a pivot yourself and looking, what are some next steps you can do, you can take some of the topics that we talked about. For our next episode, we have an AMA. This consultant has a very interesting story. He actually turned down an offer from a major consulting firm to join a startup and several years later, ended up starting his own firm and authoring a couple of bestselling books and doing all types of amazing stuff. We’re going to have a really great conversation with him. Stay tuned for our next episode. For this episode, I think one thing to take away as you hear our conversation is really think about the word reinvention. I know with so much disruption out in the world with technology, I think some of the tactics we talked about are just a couple. There are so many other ways, like when I share my story, I really talked about it for the things that I did over a decade ago. Think about how some of the topics I shared and how they can be applied to today’s world and help you create the pivot that you may be looking for in your career. If you have a question or any feedback on our conversation, I would love to hear and continue this dialogue. I know there’s several folks that’s already reached out to me, but feel free to drop me a line, MECEMuseUnplugged@Gmail.com. Dustin, thank you for making time to join us on The MECE Muse Unplugged. How are you doing? Thanks, Christie. I’m excited to be here. Before we get started, if you could maybe take a moment and introduce yourself to the go-getters of The MECE Muse Unplugged. Share a little bit about your background and what crossroads you’re at. I went to a large school in West Coast. When I was in school, I wasn’t always exactly really sure what I wanted to do and it seemed like each year my future career plans were changing. It started off with sales, then I went abroad twice. Then I actually decided that wanted to go into investment banking. Then in my senior year I realized that was not for me and I wanted to do consulting but it was a little bit too late. I ended up taking a really good job though with an international defense contractor. I had great experience so far, but I know it’s not 100% for me. That’s why I was actually able to get in touch with you, Christie, and we’re here to talk a little bit about what are my next moves and how I can pivot forward to get to where I want to be. We can talk deep and see what’s going on. Before we talk about why consulting, you mentioned you were unsure and you had different career changes, which is actually normal. For me, I knew I want to go into consulting by my junior year. I have a marketing degree and I was doing a marketing internship which is what I thought was like the logical step for my immediate future. I got exposure to consulting and just knew from then on that’s what I wanted to do. Before then, I remember for me my freshman and my sophomore year, I changed my major three times. First, I wanted to do something in advertising, then I switched and I was like, “Nope. I want to go into VC then I was like IT,” so I hear you. When you think about the times that you were changing careers and then now you’ve settled on consulting, what was it about the changes that you were looking for? If we can take a step back and think about like what was the theme that made the changes and it just wasn’t like it for you? I guess I should provide my major background which I was a double. I was Finance and Business Econ and then I also had minor in Global Business. I knew I wanted to be involved in something that could relate to international work. For the longest time I thought, going into investment banking and getting into a sector where I would be able to see some of that. I considered equity research very deeply. It’s still something I’m very interested in, but I know it’s not something that I would be successful in right now as a career move. What led me to realizing consulting would be a better fit was that I loved small projects. I guess small is a relative term though, I love shorter term projects. Three to six months or even a year at most was perfect for me. When I look at the work that I’m doing now and the work that I was doing in school, everything was about how many years out it would take before it would really be accomplished per se. That frustrated me because I like to work off of inch markers and I just couldn’t plant those inch markers very well because everything was in three to six months, I’ll move a tiny step forward. I wanted to be able to get in, really work as hard as I possibly could and see results. None of the industries that I was involved with or even the projects that I was working on had that background yet. That was pretty frustrating. When I started doing my research into consulting and I was networking a ton, doing LinkedIn messages, cold emails, phone calls with alumni and all that type of stuff, I realized that all these people were in these projects that weren’t too long, but they weren’t too short either. They got to learn an absolute fortune and become subject matter experts in whatever it was that their focused was. To me that sounded awesome and that’s really still what I’m looking for. Instead of looking down the horizon, if I could get involved in something like that where I would be able to develop some form of international exposure as well, I’d be thrilled. I think you couldn’t have picked the right path it terms of being able to get exposure to a lot of different experiences in a short amount of time as well as that international exposure. That’s spot on what consulting can definitely provide. It sounds like that’s a good fit in terms of what you’re looking for. If you think about the work you’re doing now, is there a specific domain that interests you, sparks you or right now, you just want to play sponge. You just want to have experiences and then figure it out. Any thoughts there? Are you saying in reference to my current job roles specifically or what I’m looking for in consulting? I think a combination. If you think about, is there an industry, is there a type of work that you’re looking besides the timeframe, because you talked about the timeframe and that global exposure, is there anything specific that you want to be able to get involved in? There are two things that I do think that I would be interested in on the consulting side. One is organizational development. I love working with people and being able to see transformation whether it’s a new practice that your firm is going to implement or being able to help others do something like that. When I was in college I did a lot of personal development with other students and that was one of the most gratifying and rewarding things that I did. Because when I saw them, these kids who are two to three years younger than me go in and returned back to me and say, “Remember when we worked on XYZ skills a few weeks back? 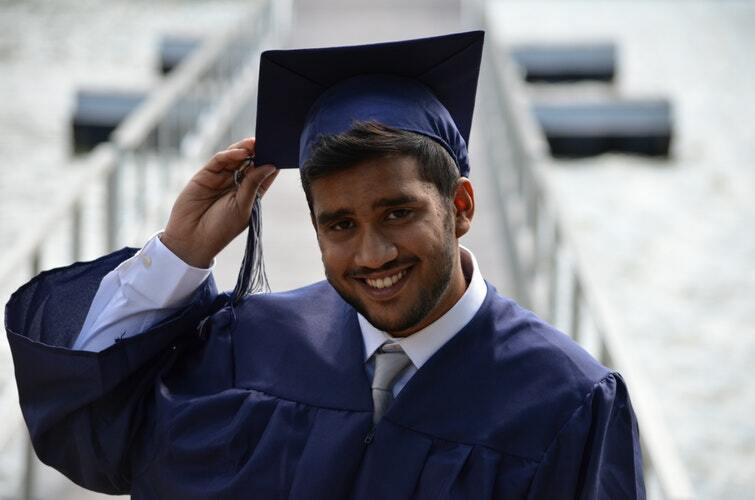 It really helped me get that internship that I wanted.” That felt awesome to me. Then the other aspect of consulting industry-wise that I’m interested is actually consumer goods. Someone that I spoke to from one of the large MBB Groups was involved in consumer goods and he said to me, “The reason I chose consumer goods as my practice was because I liked to shop.” That’s silly, but it’s true. At the end of the day, if you say, “I can walk into a store and I can pick up a product and say, there’s something about this that I love or I don’t love.” It actually makes me better at my job doing that. To me, I thought about it, “I do like to shop and two, that was a really interesting point.” When you’re not working, you are still developing your work skills and your critical thinking and what would you do differently if I was in charge of whatever the brand is that’s going on. I think those are two of the areas that I’m really interested in. If I backtrack a little bit and I’d go back to my work right now for my defense contractor, I’ve had a very, very different background just because I’m not looking at consumer goods. I’m not really focused on organizational development. Our company’s slogan is about, making the world a better place, a safer place, which is something that I do believe in. That tangibility, that feeling of connection to the end product isn’t100% there for me. I am very supportive of our military in the United States and what we do, but at the same time I just can’t connect 100%. That to me is one of the signs that maybe it’s time to pivot out. When you’re college, one of the things that people talk about in every first round interview is the one thing that they weed you out of the recruiting pool from is if you even fit company culture. In college, you think, “That’s so silly? That doesn’t really make a difference. It shouldn’t work.” It really becomes important when you’re actually sitting at a desk. For those of you who are still in college, I think this is probably the one thing that I have to looking back would change, make sure that it’s the right fit. Whether it’s industry or company, if you don’t 110% agree with everything that your company is looking to do, it’s probably not going to be the place where you’re going to be the most successful that you could possibly be. That’s why I want to try and get my feet wet a little bit. Being able to go into consulting and have some new experiences is what I’m looking to do. I really commend you for having that self-awareness. You talk about not only being in consulting, but you have a specific intersection. Having that org development transformation stage which is my background and a lot of the work that I do, I’m totally biased, but it is the best type of consulting work. I personally think that people strategy is the best business to be in, but I’ll digress and then the consumer goods. You can actually do both and I’m here to tell you, Dustin, that you absolutely can make this pivot. I’m saying that as someone who did it myself. I started out similar to you. I started out on the IT consulting side of the house. I give you kudos because we don’t give ourselves the chance to like figure that out. We just let it go on and on and on, and the fact that you’re very purposeful and out there and making it happen, it will happen for you. I just want to give you that quick kudos for sure. When you talk about like, “Future state, here’s what you want to be in. Current state, you’re doing other types of work,” which is actually going to be transferable skills. What do you think is stopping you at this point? What’s the biggest challenge of this pivot that you’re struggling with? I hear you with you have a couple years of experience, so you’re not seasoned, but you’re not a newbie like campus hire either. I think one thing you may want to consider, these two things that brings an individual into consulting and gets them an offer. It’s very simple and it doesn’t matter what level you’re at. It’s one, relationships and two experiences. When I say relationships, it sounds like you’ve been doing a little bit of that. You’ve been reaching out and it’s just continuing that journey. The second part is, are you really taking time to create and own your own journey to have those experiences? When I say that, I mean a couple of things. I know when I wanted to make that pivot, similar to you. I remember I wanted to make that pivot, that was about five years. I actually was in my mind pigeonholed in my work. My brand was an IT person. I was not a strategy person. I said, “I’m going to literally blow up my brand.” The way that I did that, I got real focused on getting experiences wherever I can and so I did pro bono work. There are a lot of organizations out there that are looking for people with some of the railroaded skill sets you have. You may not think you do, but you actually do, Dustin. It’s figuring out how can you create an experience. How can you get into maybe some pro bono work? Maybe it’s getting involved with some associations that are in this space. You talked about consumer goods. There are a lot of organizations that’s focused on the future state of the consumer goods industry. Break Into Consulting: Start getting involved, start being part of the conversation and you don’t need anything specific, you’re just reaching out and putting yourself out there. Another way, before I did my masters, I took several courses online. Some of them were free. I made this pivot like over a decade ago. You can get like you can go online right now and take a class. I think it’s Coursera or one of those websites. You can take a class from one of the top ten schools in the country on org development. You can take that class. It’s completely free and guess what? That’s something you put on your resume that begins to shape that narrative. Those are some of the things I know that I put it in place. It took me about a good two years, and when I say two years, two years from the day that I made the decision that I wanted to make that pivot to the day that actually my first big opportunity was a consumer goods organization. I led their people engagement survey efforts and recommendations and action planning. That was my first big thing. I was super excited that I’ve got that because that was a dream opportunity. Before then, I did a lot of nights and weekends pro bono. I reached out to people. Anything to create that experience because experience is currency in consulting and it doesn’t have to be that to get paid for it. As long as you can show, I’ve got a breadth of experience in the past. I think that’s the biggest thing. One thing that I wanted to go back to something you were saying, Dustin, is I hear you talk a lot about the things you don’t have on your resume. You’ve got a lot going. I want you to maybe after our show, go back to your resume. Go back through your experiences and think about the things that you do have. First of all, you’ve got drive, obviously because you’re here, you’re talking about it, you are a go-getter if you’re on this show. You’ve got the drive. You’re definitely building up the relationships. I’m sure if you start to think about like what are some of the things that you’ve done if you are on project management? You have to know how to be part of a project or how to create a deliverable or how to give a presentation. Think about some of the things that you have instead of not what you don’t have and really make sure the things you do have, the skill sets you do have, you really make sure that you hone in and you really practice and make those shine. Then you couple that by doing some of the things I mentioned. Doing some of those pro bono types of efforts, getting involved with some associations. Maybe take a free class or two, you don’t have to go out and spend a lot of money now. I guarantee if you create almost a smorgasbord of these different things, within a year or so, you’ll be working at any form you want to work at. You’ve got it all. I think it’s just a reframing of your mindset and really just focusing on what you do have. You’ve got a lot going. Picking up on that resume point, one of the things that I actually did try and do is, this is something that I would recommend to others, try to rewrite your resume every year or so, but from a blank piece of paper. I noticed between my junior and senior year and then I actually recently did it about six or seven months ago. Again, it’s hard. The second time that I’ve done it, my resume looks completely different and a hundred times better than it was before. That’s something that I’m actually going to be doing in the next six to twelve months again as I really do try and make that push. I never really thought about getting involved in pro bono work. I knew I wanted to volunteer in something, but I guess maybe could be go into how can I go about getting involved in pro bono work? What was the way that you did it and maybe I could replicate it in and some of the audience can as well? The fact that you have some really good experiences, you just start to put yourself out there. You can Google pro bono consulting work. There are non-profits that are always kind of putting out projects. What I’ve noticed nowadays, they didn’t have this when I was going in school, but there are schools actually that have volunteer consulting firms, like the B School or the Undergrad school. If maybe you go back to your Alma Mater or through your network, chances are there may be one of these like volunteer consulting firms that you probably are like one degree connected. You can get on their roster and say, “The next time you have a project, can I be part of the project team?” and put yourself out there. I think it’s just doing a little bit of legwork. I found out through them through just going to different non-profits. I had an IT background, I leveraged that. I focused on what I had and I worked at a really big, well-known brand. When people heard that they heard that I was free help and I have X amount of years of experience in this really well-known company, that was like my ticket. That was my credibility stamp to say, “Let’s give her a chance.” I leveraged that. It’s leveraging what you have and starting to think about it differently. 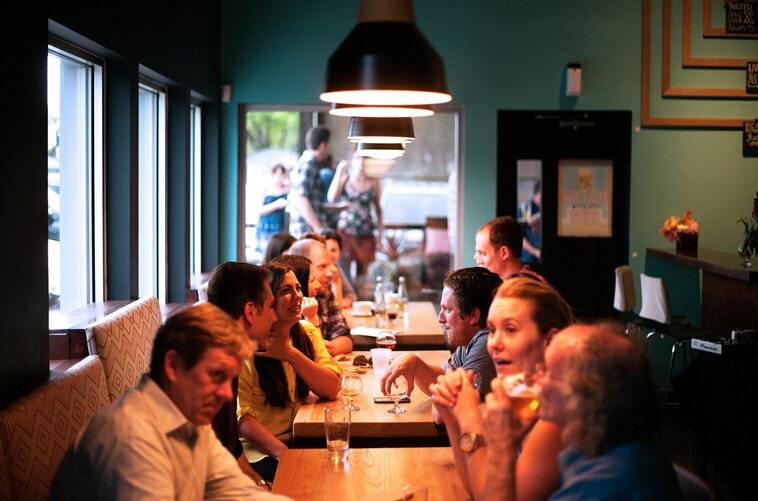 The association whether it’s an org development association, consumer goods, a lot of people get really good job opportunities or just connections because those associations, a lot of thought leaders go through those. They speak at them, they write white papers points of view. I think those are underutilized these days, but they are still treasure troves of getting connected and getting experience. At the end of the day, those are the two things you need. You need the relationships, you need the experience. If you’ve got a lot of both of those, like I said, you’ll land in any specific type of company. I 100% agree and it’s something that I know I need to work on. I just need to put myself out there a little bit more than I am right now. Make sure there’s a call to action, like you have an ask. The ask could be like, “Do you know a practice that’s hiring? Can I get connected with the recruiting team?” Anything to pivot to help you to the next step. I think with each interaction, making sure there’s some call to action on the other individual’s part and then just continue building that relationship over time. I made a leap from one firm to another. I met one individual, had a great connection. Their firm didn’t have opportunities at the time, but I stayed connected with them. Then when I decided I wanted to make another leap, I called them back because I had stayed connected with them and then it was like perfect timing, they were looking for someone with my background. You just never know. The consulting world is so small. I think you’ve got a lot going. Like I said, it’s just pivoting. The other thing you talked about, your resume, I would recommend, given that you do have some experience, I actually would also recommend that you think about having a resume writing service. Find one that’s focused on consultants that really helps consultants shake their resume. They may look at things a little differently depending on the type of firms that you’re looking to recruit for, depending on the type of experiences you have. With the resume writing service can also help you figure out like what’s the key skills or gaps that you need to get some experience around? That’s a good idea. I’m putting that down. Do you have a deadline? When you want to make the switch or you’re just a wait and see at this point? Break Into Consulting: Consulting is a good entry point into a reasoning on why an MBA can move up the firm. I know that I want to give my current company just around another year or so. I think that’s the point where if I made a transition, I would probably be most impactful. I also know that recruiting again is already starting. The sooner the better preferably, but I’m very open. I don’t have a deadline, I don’t have anything of that sort. I guess if I were to think about my more long-term plans, was that I would like to get an MBA at some point in my career. I think I just need the additional branding at this point. That’s something that I’m considering and with that, years of work experience does make a difference. Consulting is a good entry point into a reasoning on why an MBA can move up the firm. There are a lot of folks that have MBAs. It’s definitely a good idea to put on in your career trajectory. One thing you mentioned about recruiting, now that you’ve got a couple years under your belt or you will have a couple of years, recruiting for experienced hires is like a rotating cycle. It’s not like campus hires where it’s in the fall and in the winter and the spring. It’s not like that. It’s whenever you’re ready and the fact that you got another year, there’s a lot. You can fill up on that resume. You’ve got some time. I think if you just get real focused, you’d pick whatever it’s the one or two, three things that you’re going to do to really round it out, get a professional to help you put your resume together and then start doing case interview practices, get your quant and your qualitative skills up. If you do those things, you’ll be in good shape, Dustin. Thank you. It’s something that I’m going to be working on. I know we’ll stay connected, but keep me posted on where you end up or how you’re going to do because I know you’re going to land on something. I think it’s just a matter of time like now and you’ll be on fire and I’ll be glad to know you. Thank you so much. Christie. I really appreciate it. Go-getters, if you have a specific question, feedback, want to be a guest, feel free to drop us a line at MECEMuseUnplugged@Gmail.com. I like to again, thank Dustin, for being on the show and thank you my go-getters for tuning in. This is Christie Lindor signing out for the MECE Muse Unplugged pop-up podcast. Here’s to your journey to greatness.